USE THE ORBITAL DROP SHOCK TROOPERS (ODST), THE ELITE SPECIAL OPERATIONS SOLDIERS, TO PERFORM HIGH-RISK ORBITAL DROP-AND-INFILTRATION MISSIONS AGAINST KEY COVENANT TARGETS ACROSS THE GALAXY. READY TO CONDUCT LONG RANGE RECON AND GROUND SURVEILLANCE BEFORE TAKING DIRECT ACTION AGAINST HIS TARGET. It is a 115 piece set. My goal is a pleasant experience for everyone. That way you will always see the exact one that you will be getting. SEALED!! SERIES 1 Mega Bloks MiniFigure Teenage Mutant Ninja Turtle LOT OF 3. Condition is New. Shipped with USPS First Class Package. Missing 1 hand. Overall light scuffs/scratches. This item would make a great gift for a child or a collector. Collect all your favorite sets! Advanced Enforcer. CALL OF DUTY: TACTICAL UNIT. Seal Specialist. If the item is delayed or loss we will not be able to locate it. Tape may have been lifted from top to check contents. Perfect set for any collector / Power Rangers lover! Much love has been put into photographing these toys. ~seraphicdolls. New and sealed. Unused, kept in storage and in good condition. IN VERY GOOD CONDITION, SHOWING NORMAL SIGNS OF WEAR AND TEAR. APPROXIMATE HEIGHT IS 2". THE ITEM MUST BE IN THE ORIGINAL NEW CONDITION. Playset includes 305 Pieces. 1x Leonardo with weapon. ARCTIC TROOPERS. CALL OF DUTY. Accessories: All accessories displayed in the picture(s) are included. This service. From Smoke Free Home. I usually ship in 1-2 business days. I ship to US addresses only. Destiny Mega Construx Lion's Vigil Hunter Mini Figure 22 Pieces NEW MAKE OFFER! We're happy to donate a portion of the final sale of this item to a great non-profit organization. Check out the pictures (actual item shown) - we try to give as many views as possible so you can know exactly what your getting! Have fun without sun with the cat in the hat and a spinning carousel! CALL OF DUTY: TACTICAL UNIT. SEAL SPECIALIST! CONSTRUCTION SET. If the item is delayed or loss we will not be able to locate it. Call Of Duty Mega Bloks Seal Sub Recon & Atlas Troopers Brand NEW! They are the 171 piece Seal Sub Recon set and the 128 piece Atlas troopers set. Skylanders Giants Mega Bloks minifig Jet-Vac figure eagle Legendary gold color! "Legendary" blue & gold color! About 2" tall. Includes vac weapon accessory. Great condition! 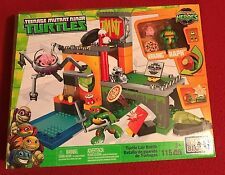 This is the Kraang Cryo Chamber Set. I just love building sets as they encourage creativity in our children. 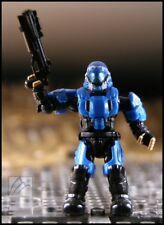 Mega Bloks Halo Promethean Warriors Set 94 pcs new. Condition is New. Shipped with USPS First Class Package. This is the Leo Turtle Glider Pursuit Set. I just love building sets as they encourage creativity in our children. Includes all shown in the photos.